Hello everyone! 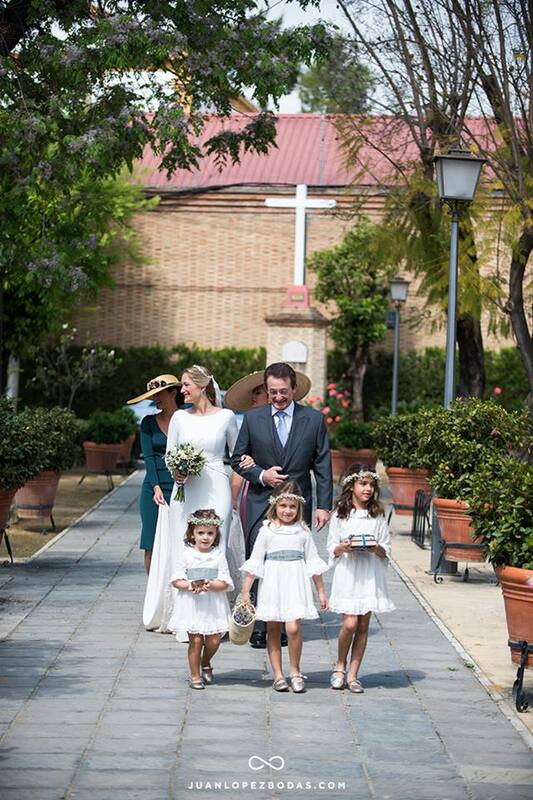 We would like to start the summer talking about some news of the Pol Núñez Brides this 2016, sharing with you the lovely bride of Mercedes Serrano and her husband Luis Riobóo (or Luko better, as he is known). 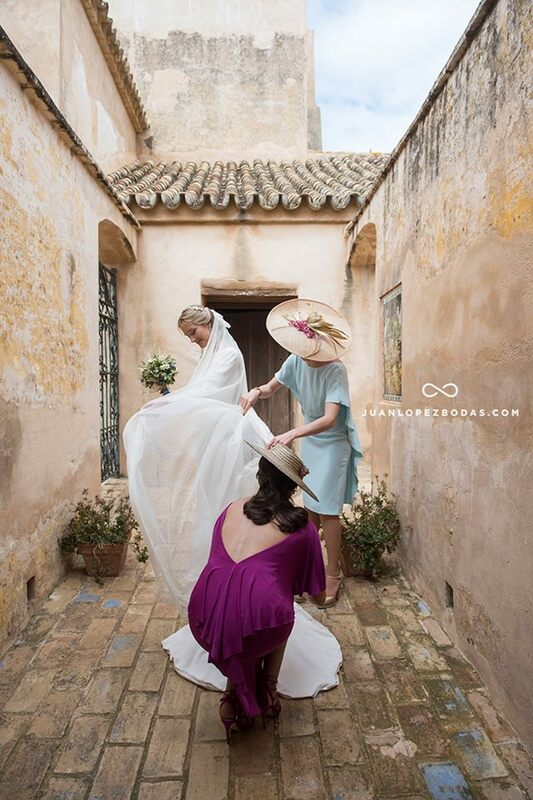 The wedding took place in the Saint Sebastian paris church of Seville, and later they celebrated in Molinos del Maestre Estate. 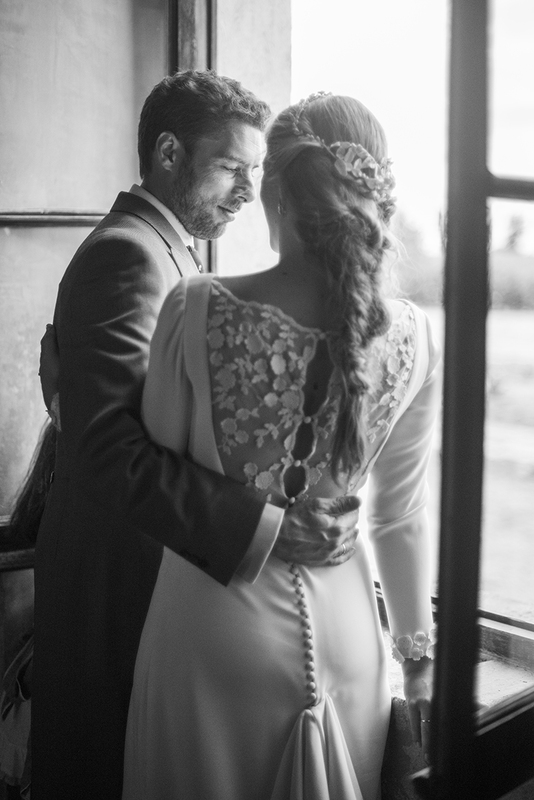 With Mercedes, a charming Pol Núñez bride, we had the pleasure of her trust on us to make her bride dress, something so important. She told us that they had been together for three years when one day, at home, watching a movie, he propose in the most simply, sincere and beautiful way… Mercedes told us that the better thing of all is that she wasn’t expected that, and the thing she loved the most was him surpising her in such a natural way. And that’s how it was… some changes were done to the first design, which ended making he dress completely mine. 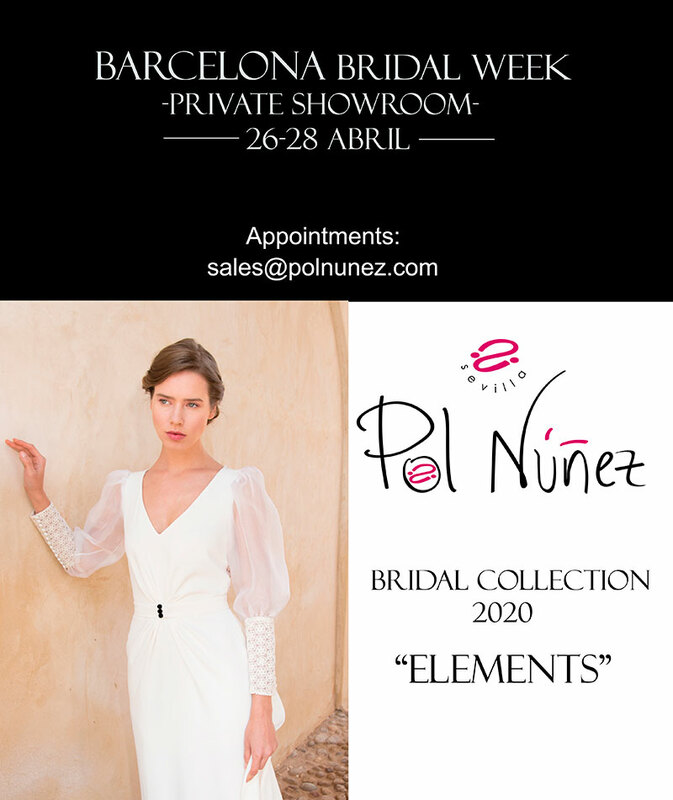 Made by Pol Núñez team with that spot of delicate, quality and romanticism, like everything they do. I couldn’t be more grateful and satisfied with them. 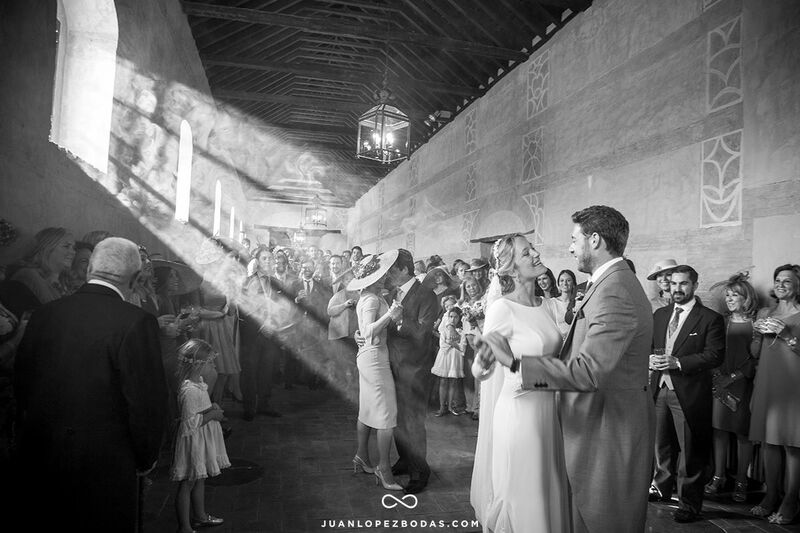 The dress was such a main star in the wedding thanks to their great job. Make up and hairstyle were made by Christiane Ogorek, professional make up artista from MAC and catwalk professional. The most important thing to Mercedes was taking care of every single detail and do it with care, to make everybody feel important, to show that family and friends are the first thing in her life. 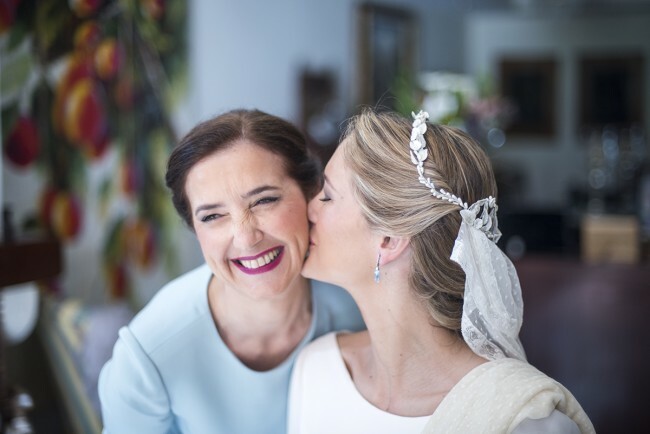 She got her precious crown in El tocador de la Novia, and her magnificent plumeti veil was her “borrowed object” from her best friend Julia. 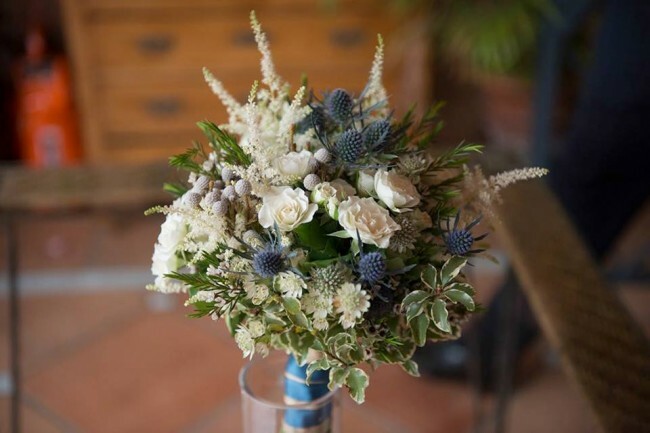 The bouquet was made by Cartamo flores and was designed with wild and blue touches, combining with her topaz earrings. 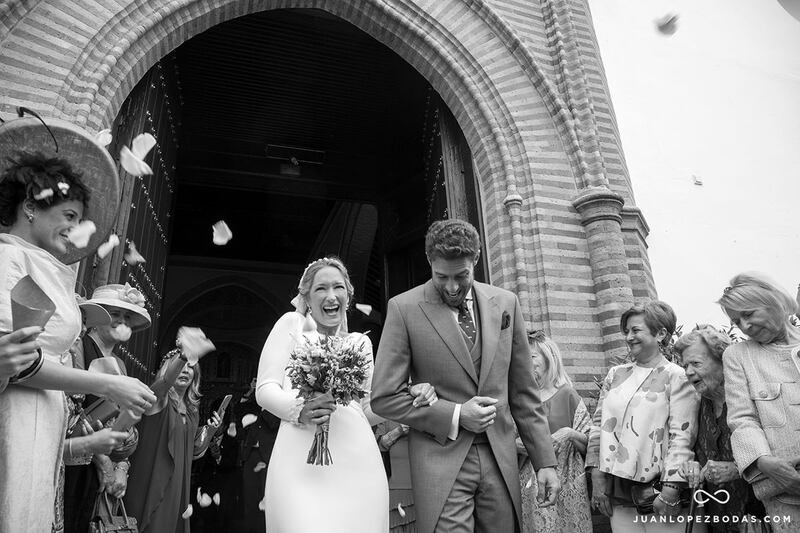 No doubts, we have to say thank you to Juan López for letting us share these wonderful photos that will remain in their memories and of course, wish the bride and groom, Mercedes and Luko, all the happiness in the world from Pol Núñez team and remember that here with us they can always find a home. If you want to see more 2016 Pol Núñez Brides, visit our blog and read our article about the catwalk in the 2016 Spanish Couture Catwalk Show, where you can find many more models you will love for sure. 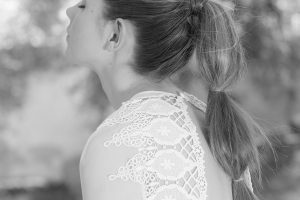 Creemos en perseguir los sueños, en que es posible hacer lo que amas cada momento de cada día, y en inspirar a otros a hacer lo mismo en cada área de su vida. ¡Porque la vida es lo que estás viviendo, así que haz lo mejor de ella!